Yoshizawa Garden Gallery in a residencial street in Mama, Ichikawa-shi, Chiba-ken is a place where you could feel free from everyday life. 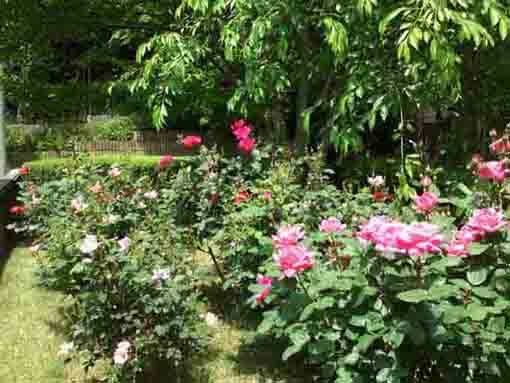 It is on the left turning on the way to Suwada Park, some roses will greet visitors friendly. Passing through the gate, there will be a wide green garden, camellias, Japanese quinces, Tunberg's meadowsweets, tree peonies, roses, sweet flags and satsuki azaleas in spring, Japanese hydrangeas and Cape jasmines in summer, flamingly colored leaves in fall and ume trees and narcissuses in winter variegate the garden through a year slowly. The end of the garden, a modern building harmonized with the garden stands and many kinds of exhibitions are held in. In Yoshizawa Garden Gallery, you could forget your busy urban life and you could feel released. 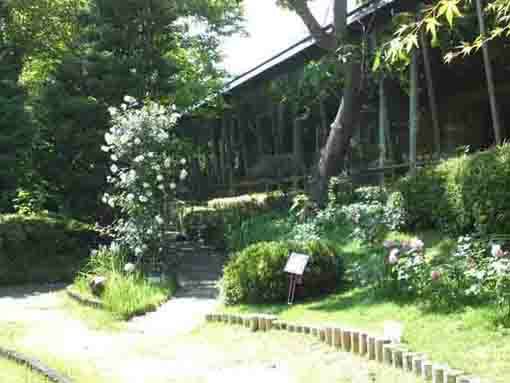 Why don't you visit Yoshizawa Garden Gallery. Ichikawashi Yoshizawa Garden Gallery was built as a place where the citizens would work cultural activities in September 2008, so it is the place to plan and to realize Ichikawa's efforts as the 'museums on every street' means that the citizens could feel and touch the arts and culture in their everyday life. 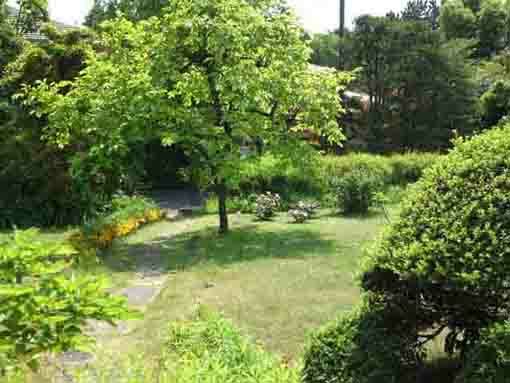 The gallery was built in the land with the beautiful garden about 3400 square meters donated by Tsukie Yoshizawa. The garden of Yoshizawa Garden Gallery is also called Hyakujuen, it means that there are hundreds of trees in it, so there are many flowers and trees brightly putting seasonal colors on it, camellias, Japanese quinces, Tunberg's meadowsweets, tree peonies, roses, sweet flags and satsuki azaleas in spring, Japanese hydrangeas and Cape jasmines in summer, flamingly colored leaves in fall and ume trees and narcissuses in winter variegate the garden through a year slowly. And also some sculptures stand on it. 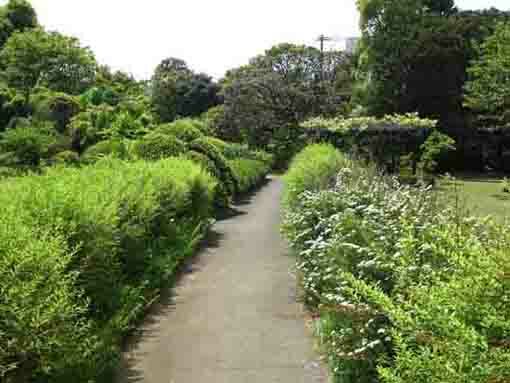 The garden built on Japanese and European style gives visitors much elegant time to spend on throughout a year. 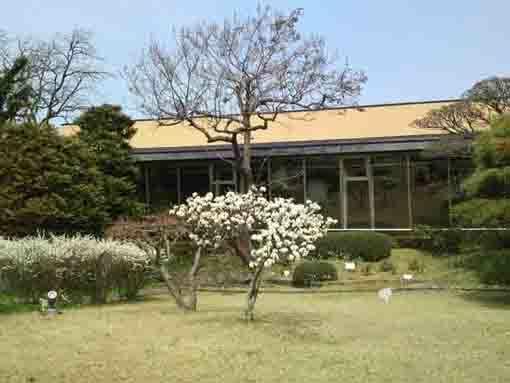 The gallery on the end of the garden holds exhibitions on many kinds of fields of arts and culture such as the exhibitions of artists related to Ichikawa, some performances, concerts and workshops year- round. And also it opens the exhibition of collections preserved by the city once a year. 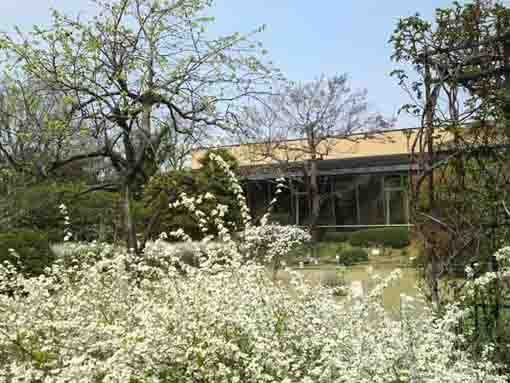 Yoshizawa Garden Gallery has a garden with many beautiful seasonal flowers and trees, three exhibition rooms and a Japanese style room. During not opening any planed exhibitions, it available to use the space for fees. The area around Ichikawashi Yoshizawa Gallery in Mama Ichikawa-shi, there are many historical and cultural sites such as Guo Moruo Memorial Park, Kiuchi Gallery, Tekona Reishindo Shrine, Mama no I well in Kameiin Temple, Mamasan Guhoji Temple and Kokubunsan Kokubunji Temple, visitors could enjoy walking on. Ichikawashi Yoshizawa Garden Gallery has great accessibilities from both Narita and Haneda International Airport. From Narita International Airport, take Keisei-line and get off Ichikawamama Sta , take minimally 45 minutes from Narita Airport. And also take JR Sobu-express line, transfer the line at Funabashi to Keisei-line, get off Ichikawamama Sta. From Haneda International Airport, take Keikyu-line bound to Narita, and get off Ichikawamama Sta. 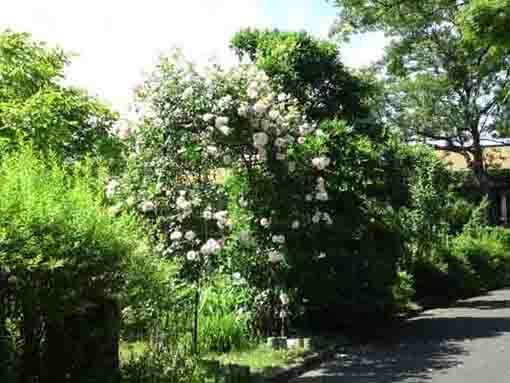 Take 12 minute walk from Ichikawamama Sta. 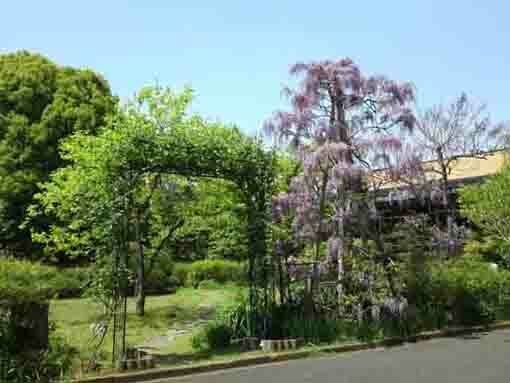 Kokubunji in Ichikawa city is designated as the histric site by the government. Guo Moruo Memorial Park gives an illusion to us to stray into a town in early Showa era. Suwada Ruins and the stone tablet inscribed by Guo Moruo are in the park. Cherry blossoms and roses bloom in spring. The park extending 400m long along the cherry trees. There are many seasonal flowers brightly blooming in the garden. A Western-style Building like a hat in fairy tales in woods. 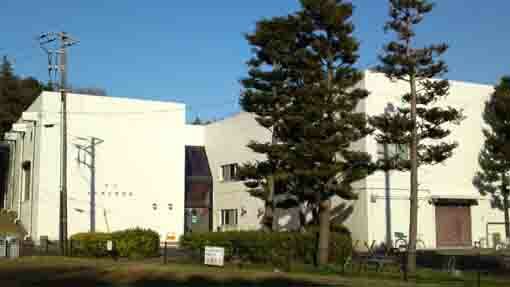 The museums introduce history of the areas around Ichikawa. It commands a panoramic view of Mt.Fuji behind the skyscrapers in Tokyo. 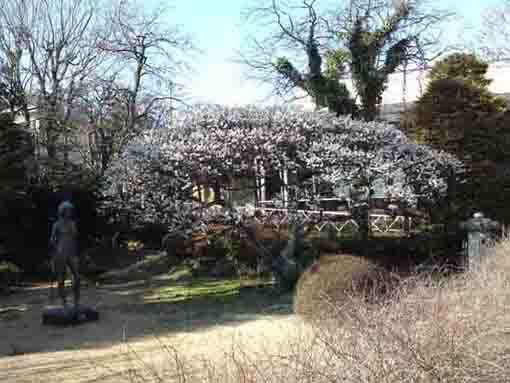 The park is the noted scenic spot to see cherry blossoms, roses and colored leaves.